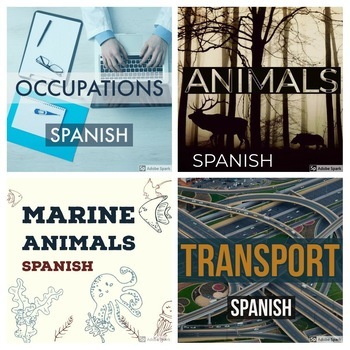 Learn Spanish Animal vocab with these quick and easy activities! Perfect as an extension task or for subs and reliefs! Perfect quick and fun activities for subs and reliefs, no Spanish experience required! Four fun activities to learn Spanish vocab! Quick, easy, and fun activities that any sub or relief can use!